Find out more about new HMRC legislation with this simple 3 minute Real Time Information video below. 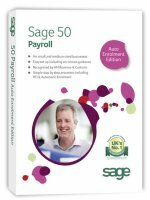 To see the other Sage 50 Payroll RTI Edition videos click here. The latest version of Sage 50 Payroll software is now the Auto Enrolment Edition.